SAN ANTONIO – A police officer was apparently assassinated during a traffic stop on Sunday, San Antonio police said. 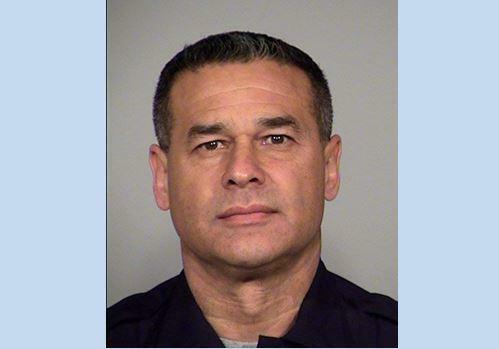 San Antonio police Chief William McManus identified the officer as Det. Benjamin Marconi, 50, a 20-year veteran of the force. McManus said Sunday that the officer was sitting inside his car just outside police headquarters when he was shot and killed. “This is everyone’s worst nightmare,” McManus said. The shooting that happened around 11:40 a.m. on Sunday, reported CBS San Antonio affiliate KENS. McManus said the officer had pulled someone over and was writing them a ticket when a black car pulled up behind the officer and stopped. Police believe the suspect’s vehicle was a black Toyota or Nissan sedan. The driver then got out, approached the officer, shot the officer once through the window, and then reached into the officer’s car and shot the officer again. After the shooting, McManus said the driver then got back in his car, and escaped in part by driving through the police headquarters’ parking lot. McManus said the suspect had not been apprehended Sunday night. He said he doesn’t believe the man has any relationship to the original motorist who was pulled over, and no motive has been identified. “We consider this suspect to be extremely dangerous and a clear threat to law enforcement officers and the public,” McManus said. The San Antonio Police Department posted a photo of a man on its Facebook page, saying “he might have information on the death” of Det. Benjamin Marconi. Police are asking for assistance in identifying the man shown wearing a hat and walking in the photo. The shooting comes on the same day a man was fatally shot by San Antonio police after coming out of an apartment following a seven-hour standoff and pointing a gun at officers. McManus said the man was fatally shot early Sunday following the standoff that began after the man’s ex-girlfriend called police when he apparently attempted to kidnap her. Mayor Ivy Taylor released a statement regarding the officer, extending her deepest condolences to the family of the officer and the police force. McManus said the suspect is a black male around five-foot-seven to six feet in height, wearing a gray sweatshirt and black baggy pants. The suspect also has a beard, KENS reported.